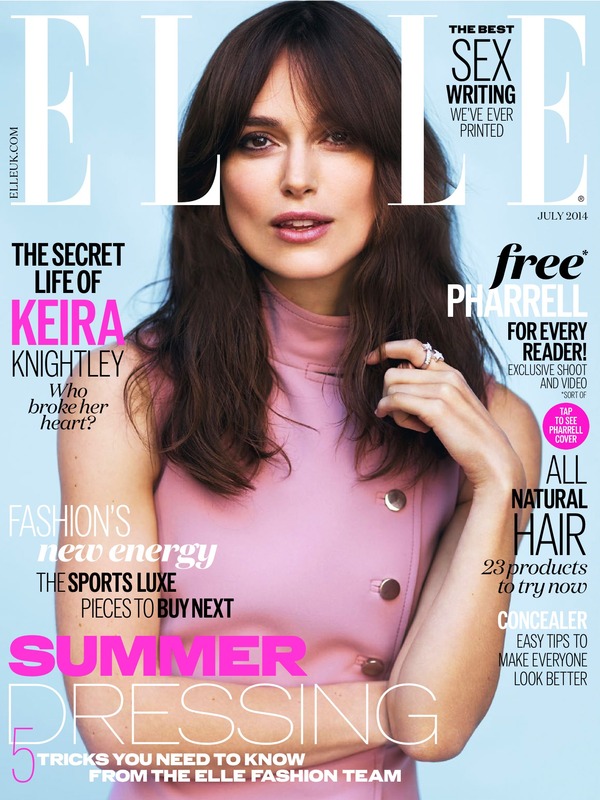 The July 2014 issue of Elle features a beautiful shoot and insightful interview with Keira Knightley. The 70s themed story was shot by Thomas Whiteside, and styled by Anne-Marie Curtis. Keira models “Autumn/Winter collections from Saint Laurent, Dolce and Gabbana, Mui Mui and, on the cover, Gucci” (from the Elle UK website). Thomas Whiteside is an American born photographer specialising in celebrity and fashion.